Our list of Top Ten books and videos that you "must read"! THE HUMAN RIGHT TO PEACE by Douglas Roche - This books is "Everything You Wanted To Know About Building Peace". It describes the current Culture of War, the coming Culture of Peace, and Changing Our Attitude to make the changes necessary. Most important, the book is written by a highly respected Senator of the Government of Canada and it pulls no punches. 5 Star Must Reading. Click on the link to The Human Right to Peace to read an excellent, detailed summary and ordering information. Servant Leadership: A Journey into the Nature of Legitimate Power and Greatness by Robert K. Greenleaf. We (locally, nationally and globally) have a leadership crisis, which profoundly affects peace (in fact, it is the single most important factor - see http://www.peace.ca/leadersandviolence.htm ). This book puts Leadership into perspective, as to what we should expect and do. It epitomizes the quote: "He profits most who serves best." Robert Greenleaf (1904 - 1990) spent most of his life in the field of management, research, development and education. He distilled his observations in a series of essays, books and videotapes on the theme of The Servant as Leader -- the objective of which is to stimulate thought and action for building a better, more caring society. The Robert K. Greenleaf Center for Servant-Leadership continues Robert's good work. Robert makes a compelling argument that the leaders we choose, and that we choose to be, should be servant leaders. Click on the link to http://www.peace.ca/servantleadership.htm to read an excellent, detailed summary and ordering information. Being Peace, by Thich Nhat Hanh. Paperback: 118 pages, Publisher: Parallax Press (September 9, 2005), ISBN: 0938077007. In order to achieve peace, we must be peace. This simple truth is the theme of this inspiring collection of lectures, given by Buddhist monk, scholar, poet and peace activist Thich Nhat Hanh. If we are to change the world, he explains, we need to begin with ourselves, and awaken that eternal part of us where true peace resides - our own Buddha nature. His lucid explanations make us realise how easy this awakening can actually be... and how powerful. For, with inner peace as the guide and criterion for all our actions, we transform our way of living into one genuinely capable of bringing lasting peace into a troubled world. The book also helps us with some basic understanding of Buddhism and meditation. Click on this link for a summary of the highlights of the book. 5 Star, Must Reading. Roots of Violence in the U.S. Culture: A Diagnosis Towards Healing - Author Alain Richard, Blue Dolphin Publishing, 1999; 156 pages; paperback; US$14.95; ISBN: 1-57733-043-9. Click on this link for a summary of the highlights of the book. 5 Star, Must Reading. Roots of Violence exposes the origins and current causes of the underlying, explosive rage pervasive in our culture today, and being exported by the U.S. to the rest of the world. Understanding this is the first step toward healing our society. UNESCO and a Culture of Peace - Promoting a Global Movement; 1997 / ISBN 92-3-103391-3 / Paperback / 143pp / $25.50 Since UNESCO launched its Culture of Peace Programme, it has helped mobilize people from all walks of life and from all continents to support the transformation from a culture of war and violence to a culture of peace. 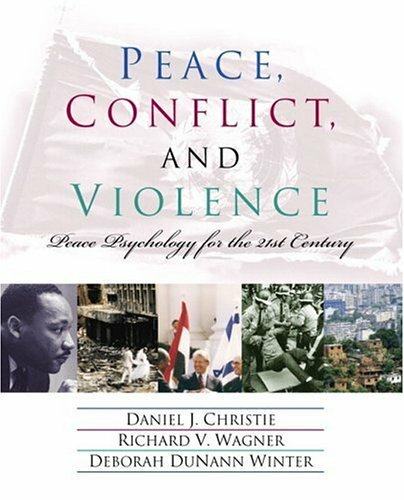 This monograph provides an in-depth report of their actions, showing that the desire to establish a durable culture of peace is a product of this particular moment in history and an appropriate vision for the future. 7. turn it into a learning conversation: describe the problem in a way both sides can accept, propose mutual understanding and problem-solving as purposes, check with others to see if this makes sense, and invite others to join the conversation (make them your partner in figuring it out; those that do not wish to participate can opt-out). Provide some relevant background reading that might help open minds. I look forward to your thoughts and additional suggestions on this. I am most interested because peacebuilders and peace educators are always having a difficult conversation. I am hopeful that we can develop a model for peacebuilding to help us work through the various difficult conversations that must take place. Click here to see an excellent 19 page summary of the book. 5 Star Must Reading. Whether they take place at work or at home, with your neighbors or your spouse, crucial conversations can have a profound impact on your career, your happiness, and your future. With the skills you learn in this book, you'll never have to worry about the outcome of a crucial conversation again. Read Chapter 1 at http://www.leadershipnow.com/leadershop/0194-6excerpt.html Click here to see an excellent 20 page summary of the book. 5 Star Must Reading. - Crucial Confrontations: Tools for Resolving Broken Promises, Violated Expectations, and Bad Behavior, by Kerry Patterson, Joseph Grenny, Ron McMillan and Al Switzler. Format: Paperback, 272pp. ISBN: 0-07-144652-4. Publisher: McGraw-Hill Trade. Pub. Date: January 2005. Retail price US$16.95. This 5-Star Recommended/Must Reading builds on Difficult Conversations and Crucial Conversations. The difference - the hallmark of a crucial conversation is disagreement, while crucial confrontations are about disappointments. Confrontations comprise the very foundation of accountability. They all start with the question: "Why didn't you do what you were supposed to do?" And they only end when a solution is reached and both parties are motivated and able to comply. Confrontations are the prickly, complicated, and often frightening performance discussions that keep you up nights. We will need these skills for conducting the 8 Crucial Canadian Conversations. Click here to see 2 page Training Overview. here's the forward and 1st chapter in pdf. Click here to see an excellent 18 page summary of the book online. 5 star must read. - Social Intelligence: The New Science of Success; Beyond IQ, Beyond EI, Applying Multiple Intelligence Theory to Human Interaction, by Karl Albrecht http://www.karlalbrecht.com . Format: Hardcover, 280pp. ISBN: 0787979384. October 2005. Jossey-Bass. When I developed the Draft Canadian Culture of Peace Program Marketing Strategy (ref. http://www.cultureofpeace.ca/CCOPPmarketingstrategy.htm ) , I suggested we use the concept of Social Intelligence (i.e. raising Social Intelligence/Social Development) as a path to Peace Education and a Culture of Peace – that it is more readily acceptable/ understandable by the general population. This book explains it much better than I, including the “How To”, hence I strongly recommend it. Karl Albrecht defines social intelligence (SI) as the ability to get along well with others while winning their cooperation. SI is a combination of sensitivity to the needs and interests of others, sometimes called your “ social radar, ” an attitude of generosity and consideration, and a set of practical skills for interacting successfully with people in any setting. "Social Intelligence provides a highly accessible and comprehensive model for describing, assessing, and developing social intelligence at a personal level. This book is filled with intriguing concepts, enlightening examples, stories, cases, situational strategies, and a self-assessment tool – all designed to help you learn to navigate social situations more successfully. The author takes you on a guided tour of the five dimensions of social intelligence (“S.P.A.C.E.”): 1. Situational Awareness – the ability to read situations and to interpret the behaviors of people in those situations; 2. Presence – Often called ‘bearing’, it’s a whole range of verbal and nonverbal behaviors that define you in the minds of others; 3. Authenticity – the behaviors that cause others to judge you as honest, open, and ‘real’; 4. Clarity – the ability to explain your ideas and articulate your views; 5. Empathy – the ability to ‘connect’ with others. You can get it (and read a descriptive summary) at Chapters book store online at http://www.chapters.indigo.ca/item.asp?Item=978078797938&Catalog=Books&Ntt=social+intelligence&N=35&Lang=en&Section=books&zxac=1 for $21.43 (which is 33% off the list price right now). 5 star must reading. Click here to read detailed highlights of the book. Peace Is the Way: Bringing War and Violence to an End, By Deepak Chopra. ISBN 0-307-33981-5. Published by Three Rivers Press 2005. Chopra's latest work is prefaced by endorsements from four Nobel Peace Laureates, Muhammad Ali and an impressive array of other notables. Here, the Indian-born doctor and author of the bestselling The Seven Spiritual Laws of Success and other popular spiritual guides contends that the deeply ingrained human habit of resorting to violence can be ended by raising the consciousness of individuals until there is a global change in awareness, similar to the shift that took place when the age of science took hold. Chopra, whose bestsellers and celebrity-friendliness have saddled him with a reputation for being guru to the rich and comfortable, is refreshingly honest about the way our comfort and security are ultimately the fruits of war. "The satisfaction of waging war cannot be replaced by philosophy or religion," he writes. In addition to analysis, he offers daily practices of meditation, thought and actions on behalf of others as a way to live the truth of A.J. Muste's famous quote: "There is no way to peace. Peace is the way." Ultimately, however, the ego itself has to be disarmed to live the way of peace, he says: "For me as an individual to be free, I have to confront myself with questions about who I really am, and this is done in large part by examining the layers of false identity that I mistakenly call me." This is clearly harder to practice than it is to read. Still, Chopra's affirmation that "our true identity is at the level of spirit and nowhere else" has the ring of truth and so does the rest of this simple, practical, inspiring book. Click on this link to read Highlights of the Book. This video is 5-Star, Must Viewing - particularly for peace studies programs to generate discussion with students (and others). I urge you to order your own copy: contact Frank Dorrel, 3967 Shedd Ter., Culver City, California 90232; tel. 310-838-8131; email fdorrel@addictedtowar.com ; web site http://www.addictedtowar.com . A small donation (approx. US$10.00) is requested to help this project continue. Many thanks to Frank for his good work. I am highly recommending that you go see Bowling For Columbine. Its a documentary film by Micheal Moore, who is an American activist. The film is a great demonstration of the attitudes and some of the causes of so much fear and death caused by guns in the US. I think you should see it and maybe mention it on your website. I think it is a film that everyone should see, although it is done tastefully some Americans of course may find it a little less amusing than us Canadians. There was an American girl who went to the movie with us and she didn't appreciate it quite as much as us Canadians...who of course were used as better examples of the US in terms of having a better living environment. Did you know that in Canada we have approx 165 deaths per year from guns, while Germany has 255, and Great Britain has only 39. The US has 11,124!!!! A good quote from the movie is that "if safety was measured in terms of numbers of guns, the US would be the safest country in the world, but that's not how it works". He also talks about stereotypes, racism, misconceptions/misinformation, fear and media's association with the problems of violence. As soon as you get the chance, go see it...it is getting rave reviews. Here is a site that tells you about the movie - http://www.bowlingforcolumbine.com/flash-01.php . Mike Moore's web site is at http://www.michaelmoore.com/ . Review courtesy of Robyn Stewart. Other comparably excellent videos by Michael Moore are: The Big One (about corporations without a conscience) and Roger and Me (also about corporations without a conscience). Michael also has a two DVD set containing approximately 12 weekly half Hour shows called "The Awful Truth", speaking to a variety of important issues including the Death Penalty. All 5-Star Must Viewing. The excellent weekly TV show "NOW" - Bill Moyers is the host of NOW with Bill Moyers, airing Friday nights at 9pm EST on PBS. (Check local listings at www.pbs.org/now/sched.html .) In particular, I highly recommend that you purchase the August 1, 2003 show http://www.shoppbs.org/product/index.jsp?productId=1413857&cp=1415060&page=6&doVSearch=no&clickid=lftnav_sbs_txt&pageBucket=0&parentPage=family available for $29.98, Is America spending hundreds of billions of dollars on the wrong weapons and for the wrong reasons? An insider gives viewers a look into America's massive defense machine and asks, is it really keeping us safe? Bill Moyers talks to 30 year Pentagon veteran Chuck Spinney, a man TIME magazine once labelled a "Pentagon Maverick," in his first television interview since retiring from the Pentagon. This expose of the military/industrial/congressional complex will "blow your mind"- every American should be aware. 5 Start Must Viewing. Manufacturing Consent: Noam Chomsky and the Media. Part 1 Thought Control in a Democratic Society; Part 2 Activating Dissent. Highlighting Noam Chomsky's analysis of the media, Manufacturing Consent focuses on democratic societies where populations not disciplined by force are subjected to more subtle forms of ideological control. Shocking examples of media deception (including an expose on East Timor) permeate Chomsky's critique of the forces at work behind the daily news. Chomsky encourages his listeners to extricate themselves from this "web of deceit" by undertaking a course of "intellectual self-defence". Available from the National Film Board Order #C9192072; ISBN: 0-7720-464-0. For distribution telephone 514-844-3358. 'Must see' rating. Peace Anecdotes - a compilation of stories I have heard. This page is always under construction and change. Let us know at stewartr [at] peace.ca if you have a suggestion on the most important books and videos for peace education. We have formed an affiliation with Chapters.ca, the largest Canadian Bookstore! Goods purchased through our link return a commission to the Centre.